Home Theme worlds Other theme worlds product groups Huge Mikado "Active"
You'll need a steady hand here! 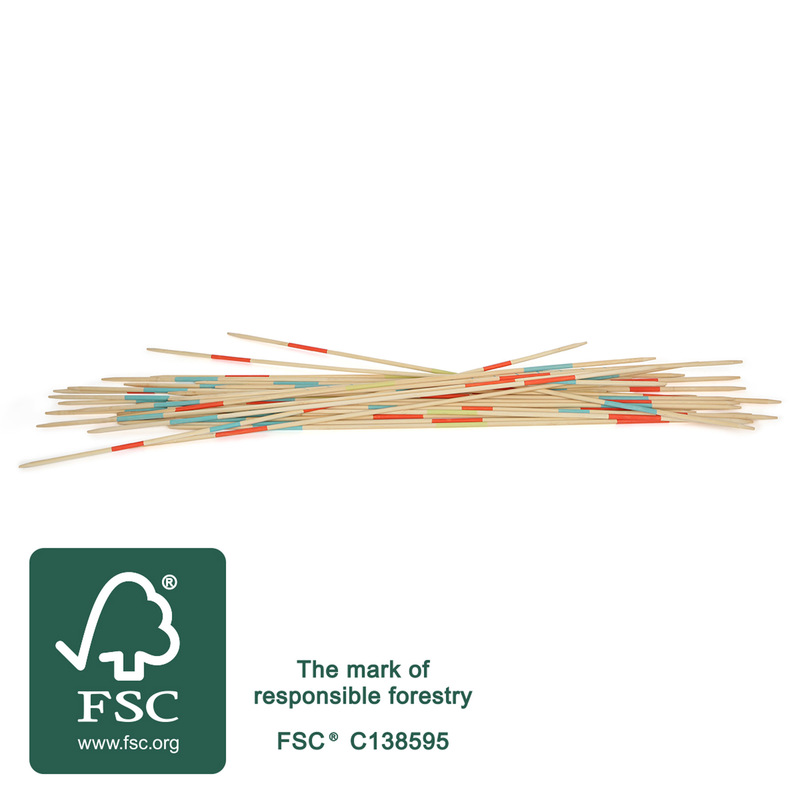 This Mikado game in an XXL format trains hand-eye coordination, concentration and patience because players have to pull the naturally-finished wooden sticks made of FSC® 100%-certified wood out of the pile without moving the other sticks. 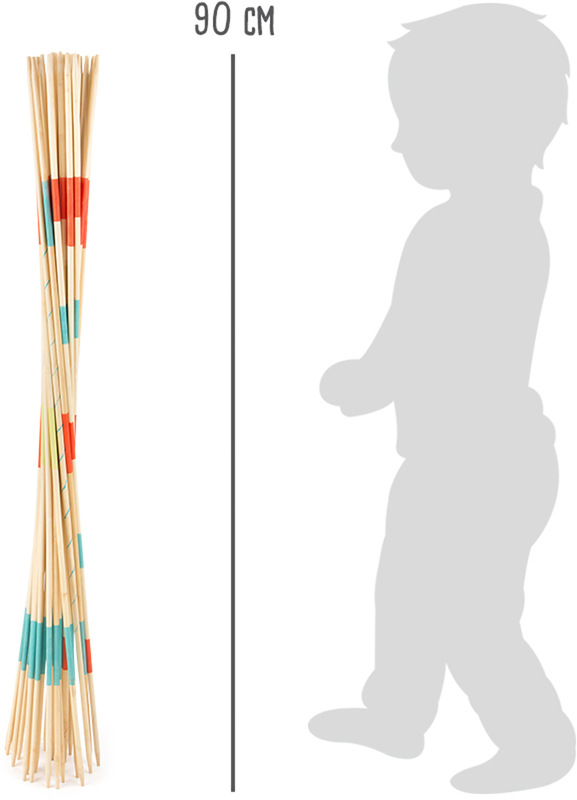 There are different numbers of coloured lines which dictate the number of points each stick is worth. It's a timeless classic that's ideal for playing outside and playing in larger teams for exciting playtime fun. Who will win the next round?